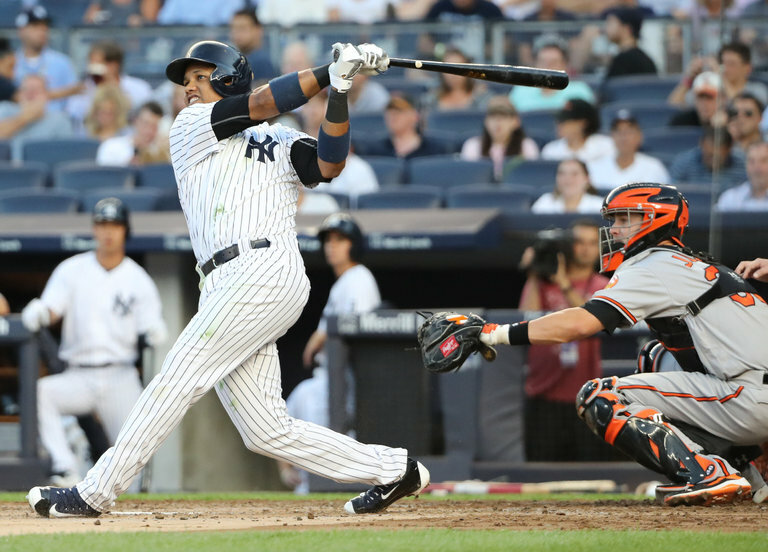 The Yankees’ Starlin Castro hitting a two-run homer to left field in the second inning. He also had a two-run double in the sixth. Nathan Eovaldi’s recent exile to the bullpen might have been widely viewed as a demotion, but he preferred to look at it as a tutorial to help him rediscover why the Yankees had believed so much in his promise. Whatever lessons Eovaldi learned in his brief sabbatical in the bullpen were put to good use Tuesday night when he returned to the rotation and shut out the Baltimore Orioles into the sixth inning of a 7-1 victory at Yankee Stadium.